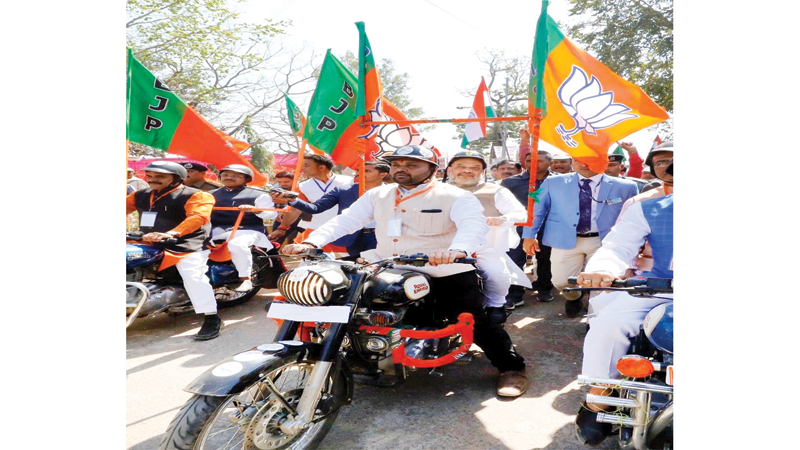 Cranking up its campaign for the Lok Sabha elections, the BJP launched a nationwide mega ‘Vijay Sankalp Bike rally’ on 02 March, 2019 in which over a crore party Karyakartas have taken part to reach out to people across the country. Party National President Shri Amit Shah launched the rally in Umaria, Madhya Pradesh while Defence Minister Smt. Nirmala Sitharaman flagged off the rally in Delhi. BJP workers have been asked to share the achievements of the Narendra Modi government with voters during the rally. In the ‘Vijay Sankalp rally, more than 3,500 locations have been chosen in Uttar Pradesh, Maharashtra, West Bengal, Bihar, Tamil Nadu, Madhya Pradesh, Karnataka, Rajasthan, Gujarat, Andhra Pradesh, Odisha and Kerala. 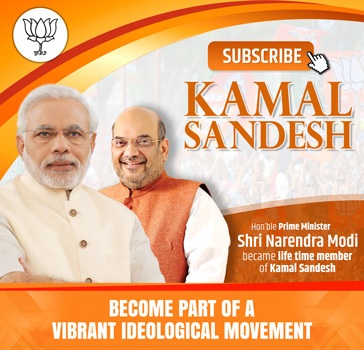 The party hopes to leave its footprint in every constituency across the country before the Lok Sabha polls, due by May. Addressing the bike rally, BJP National President Shri Amit Shah slammed the opposition for raising doubts over air strike on a Jaish-e-Mohammed terrorist training camp in Pakistan’s Balakot. “Polls should be held to make the country and its economy strong, to give Pakistan a befitting reply and not to fulfill the desires of ageing leaders and a family’s prince to become the Prime Minister,” Shri Shah said, in an apparent dig at Congress chief Rahul Gandhi. Shri Shah trained his guns at Mr Gandhi, Trinamool Congress chief Mamata Banerjee and Samajwadi Party’s Akhilesh Yadav and said, “During Prime Minister Shri Narendra Modi’s rule, maximum number of terrorists has been eliminated in the country”. “Why is the point of holding elections? Because one is now old enough to become PM, or because they just feel like it or because a family wants their ‘prince’ to become the PM,” asked BJP National President. Before inaugurating the nationwide Vijay Sankalp Bike Rally, BJP National President welcomed IAF pilot Abhinandan Varthaman back in India.